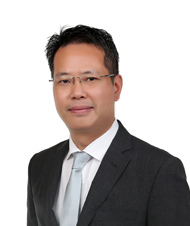 Roy Chan, is the Director for Organisation Development & Performance Management at the Surbana Jurong Group. He is an experienced professional with 25 years’ experience in a variety of technical, business and human resource roles across various industries. Before joining Surbana Jurong in 2016, Roy was the Head of Learning & Development at Marina Bay Sands Singapore. Prior to that, he served 20 years with IBM in a variety of technical, business and HR roles. Roy graduated with a Master in Organisation Leadership from Monash University, BSc in Computing & Information System from University of London, and Diploma in Electrical Engineering from Ngee Ann Polytechnic. He is certified/accredited in a range of psychometric and leadership assessment instruments including Human Synergistics, Hogan Assessment, Herrmann Whole Brain Thinking, DDI Leadership Mirror and other assessment center methodologies. He is currently a member of the Singapore Human Resource Institute (SHRI), and has served as a member of the Singapore HR Awards judging panel from 2016-2018. Roy’s expertise is in the area of adult learning, coaching, leadership development, talent management, culture and change. Over his career, he has led numerous complex organisation development and change initiatives on both local and global scale. He is known to be a strategic thinker who has a knack of “connecting the dots” as well as a pragmatic executor who “gets things done”.